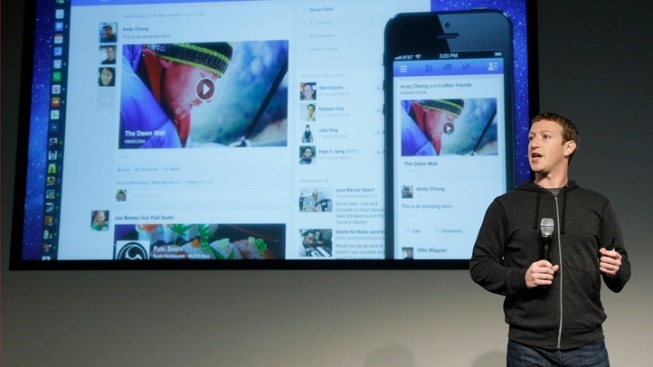 Facebook will make an announcement about a new Android product. Facebook has been teasing the release of an Android product since last week and while details have been scarce, an official announcement scheduled for Thursday is widely expected to reveal a Facebook phone launch. The phone is reportedly made by HTC and will use a "forked" Android system, which is an altered version of the popular Google operating system, according to Forbes. The public has been touting this as a "Facebook phone," but Tech Crunch and Mashable says it is more like an Android phone with Facebook functionalities on an HTC handset. This is consistent with a statement from CEO Mark Zuckerberg who said last summer that a Facebook phone "wouldn't make much sense." The smartphone is created around the functions of the social networking site. This means that users will log in to the phone with their Facebook accounts and see news feeds, data and apps displayed on the home screen, according to Tech Crunch. Facebook's strategy, according to The New York Times, is expose users to the site as much as possible so they can see more mobile advertisements, a source of revenue that advertisers have yet to harness.